Thank you very much for attending the 15th World Congress of the ISDE. The Congress has been a huge success with a record-breaking attendance of more than 800 delegates and 665 abstracts submitted. It was an opportunity to reconnect with old friends and make some new ones along the way. Read the Review by Kenneth K. Wang, ISDE President 2014-2016, HERE. The congress yielded some of the best educational sessions to date. And its not too late! All educational sessions will be available for viewing in the members area of the website. Just sign in with your username and password. 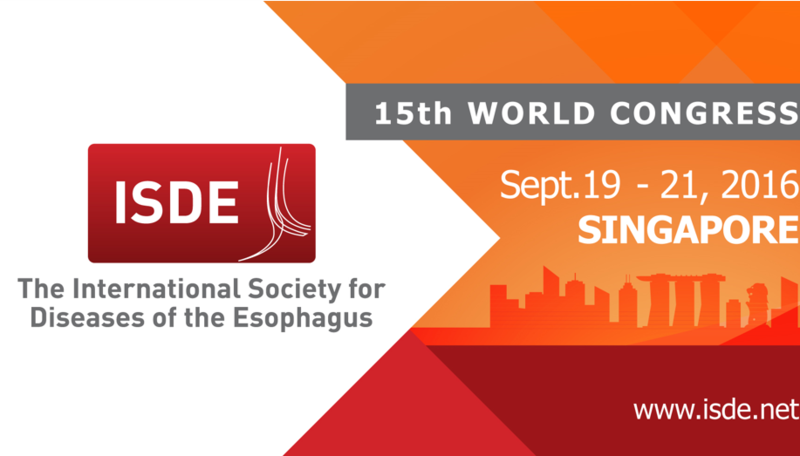 16th World Congress of the International Society for Diseases of the Esophagus will be held in Vienna, Austria, September 16 - 19, 2018. We will look forward to welcoming you to the beautiful city of Vienna!